The Daily Prompt: The Need Machine. Soft drinks, electronics, nutrient-free snacks — you can get all of those from a vending machine. But what type of vending machine is sorely needed but doesn’t yet exist? 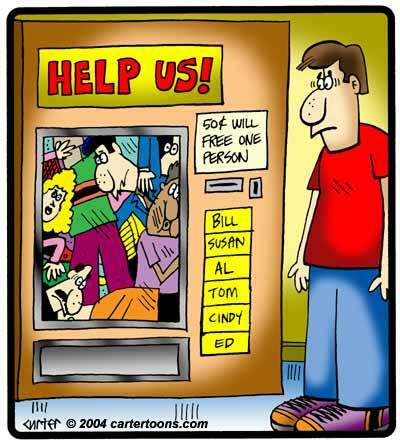 I can’t really think of a vending machine that doesn’t already exist for something I need. Vending machines haven’t been a part of my life for a very long time. Perhaps I should try to be creative and imagine a machine that could dispatch smiles or good fortune…but the creativity wheels just aren’t turning. But I can remember a time back in the 1970s when they first installed one at my school, and we loved it! It was so sophisticated and exciting to put your money in, excitedly choose, press the right series of keys, and watch it deliver some delicious morsel with a satisfying clunk into the bottom drawer. Why was it so much more fun to feed the machine then to stop in the sweet shop on the way home for exactly the same thing? But we loved it, anyway! I can remember buying bags and bags of Disco crisps every week to collect the tokens from the packets. Six tokens got you top pop hits like the Bay City Rollers on a 45. All you had to do was post them in with an SAE. (That’s a stamped addressed envelope for the post-internet crowd.) What you got back was a cheap, flimsy disc that was nothing like the singles we bought every Saturday from Woolworth’s….but it was so exciting to just get something in the post with your name on it. There are no coins, except tiny, tiny amounts that are fractions of a rupee and completely useless. You would have to use notes, which are the only real currency here and they are very old, very dirty and extremely crumpled. They would never be accepted by already overly finicky vending machine slots. Imagine a vending machine in a place where there are constant power cuts. Cold or hot thermostat settings without electricity would mean a world of warm coke and sweaty sandwiches. You, the thirsty customer, would hear the heavy thud of disconnected power just as your money leaves your fingers. The machine would swallow your cash and you–and your expectations– would be left in the dark. Good luck getting that refund! Vending machines require maintenance. They need to be filled, cleaned, oiled and serviced. Not here. The distribution lines from India sometimes supply… sometimes not… This week we have diet coke.,,,next week…not so much. The machines would be filled if and when… and maintained even less. As a temporary measure, someone creative would fix the broken vending machine with a rubber band and a bit of hose, where it would stay permanently until it, too, broke. And last, but by no means least, is the truth that nothing here is ready to be automated and vendors (real human ones) are the life blood of this city. Vending machines in Kathmandu are the guys that sit on street corners every day. So perhaps to go back to my earlier thought of a futuristic machine that could sell anything… perhaps that vending machine could dispatch the elusive silver bullets that never seem to exist to solve problems here. A machine that dispatched problem-solving bullets that could cure poverty, corruption and social injustice…maybe it should be solar-powered, though?! Pingback: Vending Wishes | The Bohemian Rock Star's "Untitled Project"
Thanks Michelle. Human slavery is such a big issue here too, but I haven’t touched it on my blog as I’m guessing its probably too dark for WordPress.